Sit down and buckle up, because there's been a lot of rumors recently that point to Animal Crossing for Nintendo Switch being revealed sometime this year. Please keep in mind that everything posted below are just rumors at this point and nothing has been officially confirmed, though that doesn't mean we can't get on the hype train! 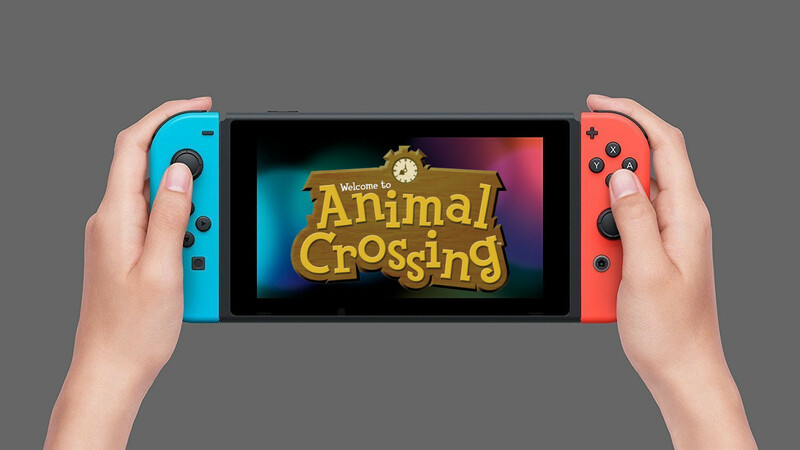 Animal Crossing is one of Nintendo's biggest selling franchises, and after the success of New Leaf and Pocket Camp, and the bombing of Happy Home Designer and amiibo Festival, it would make sense for Nintendo to want to launch a big, main series title on their current system; and right now it's not a matter of if, it's a matter of when. 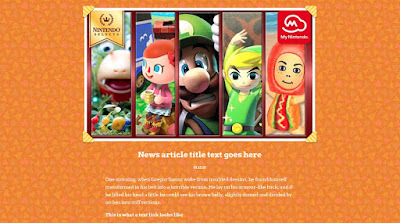 Whilst the images depict stills from amiibo Festival, it's likely they were only using these as placeholder images as it was their most recent game. Clicking on any of the videos on these pages would take you to Nintendo's 2017 Nintendo Switch trailer for The Legend of Zelda: Breath of the Wild, and clicking any of the news articles would lead you to the following image. Although the majority of their handywork has been hidden, currently the 3DS section of the website is still a mess and you can see so for yourself right here, and the Wii U section has been completely removed. With a lot of suspicious activity going on, it didn't take long for internet users to start digging to see what else they could find. As we previously posted with the Wayback Machine, the last known record of this site existing was April 3rd, which suggests these pages were only edited recently, perhaps prepping for an update post-E3? That just about sums up all the information we have for the whole website debacle, but there's still a few things from the past that suggest we could be seeing a new title sooner rather than later. 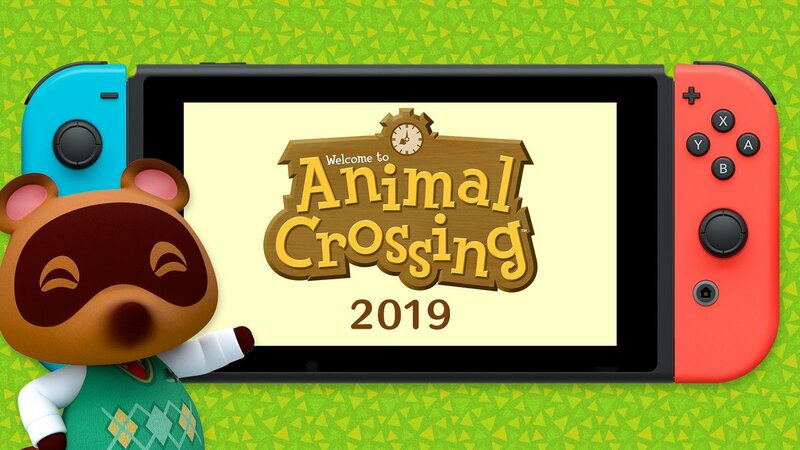 First and foremost, as we already said, Animal Crossing is currently one of Nintendo's biggest franchises, there's no way they're not working on one right now. It's possible they've been holding off on revealing it to try avoid the whole 3 year wait from New Leaf's reveal which made Animal Crossing fans go insane, and then again with their mobile app which saw numerous delays - they've probably learned their lesson from revealing a game so early! Secondly, before Pocket Camp even released, Nintendo originally stated that the game would be able to connect with Animal Crossing titles on dedicated gaming systems. However, as we know, the game saw numerous delays and was originally supposed to be a "town builder" game, but was scrapped and remade due to being too boring. It's entirely possible this earlier comment was in reference to the first build of the game, which was then scrapped along with the game. Unused text in the current generation Pokemon games indicated there was an event tied to Pokemon GO, indicating that a mobile device can interact with a 3DS, so this could all have been for connectivity to New Leaf. However, when asked again after Pocket Camp was officially revealed, Nintendo's CEO Takachi Mochizuki refused to answer whether or not Pocket Camp will see any connectivity with the main series titles. GameStop's CEO also said that many unannounced Switch titles make the year look "very, very strong". Nintendo have yet to reveal a big holiday title for 2018, and Animal Crossing certainly has the potential to be just that. And to finally end of all the evidence we currently have, let's not forget Nintendo recently applied for a number of trademarks back in November 2017, including Animal Crossing and Super Smash Bros. (which was later revealed in March). Another Animal Crossing trademark (this time including the English title) was then applied for at the end of January 2018. Again, we would like to stress that right now these are just rumors. Nothing has been confirmed, despite the mass amounts of evidence to back this up. 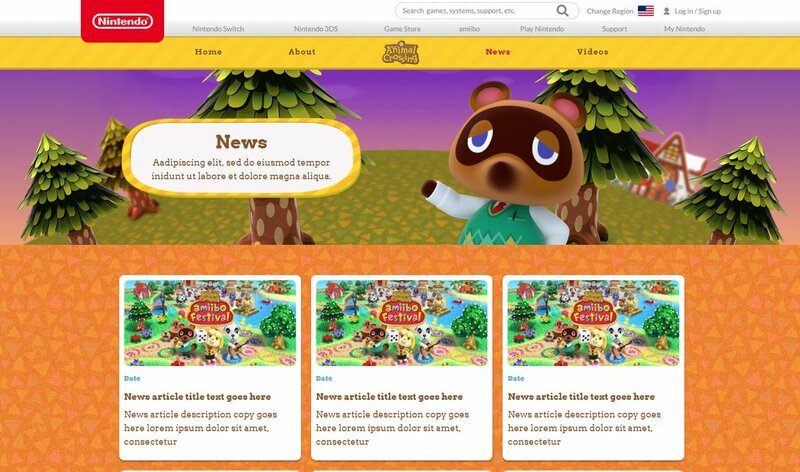 It's completely possible Nintendo were just updating their website and this could lead to nothing at E3, or it could have simply been a mistake - but there's no doubt in my mind that Nintendo isn't already working on a new Animal Crossing title. Again, remember these are just rumors and BidoofCrossing does not have any inside sources or information. 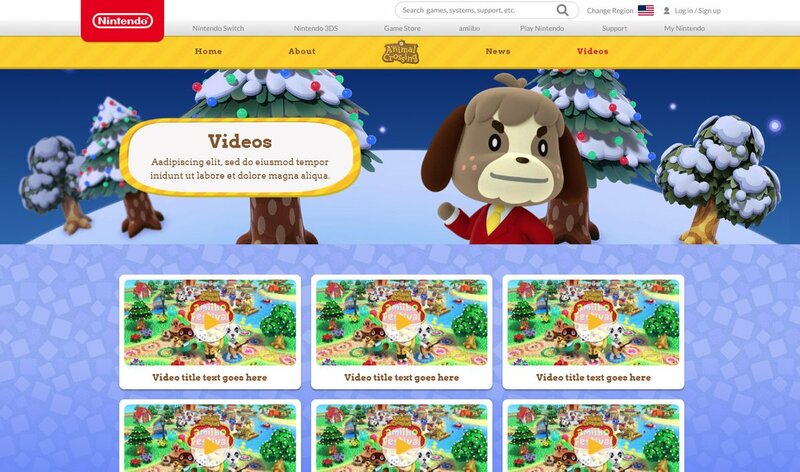 Don't forget to follow us on Twitter and Tumblr to keep up to date with the latest Animal Crossing news! 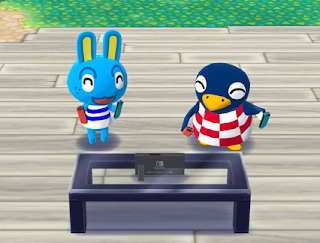 An update to Animal Crossing: Pocket Camp has added the Nintendo Switch as a furniture item. A Mother's Day post on the Nintendo Switch news section uses the Animal Crossing villager Carrie to wish players a Happy Mother's Day.